Over in South Beach, directly in front of Giants Stadium, sits Pete’s Tavern. This sports bar is crowded on game days—especially right before, after, and even during big events. 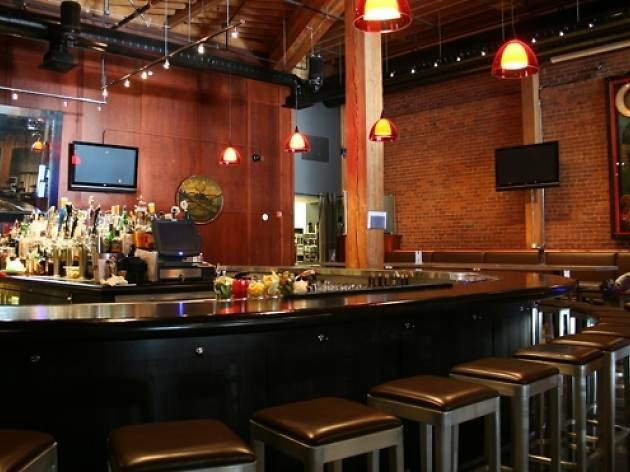 It's a super big space with two floors, plenty of seating for groups and a bar that sits in the middle of the room with chairs on all sides. 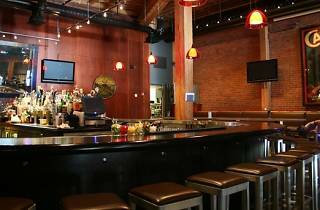 There are 22 enormous flat screens, a Giants-centric cocktail list (with drinks like the Mad-Bum Mai Tai), a beer list that represents locals such as 21st Amendment and Lagunitas and a food spread that includes house-smoked barbecue, sandwiches, burgers and macaroni and cheese.